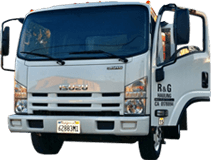 Locally owned R&G Hauling is the trusted source for furniture and appliance removal and hauling services in Pasadena, Monrovia, Arcadia, Glendora, Burbank, San Dimas, Glendale, and surrounding cities. Since 1993, we have hauled away mattresses, couches, desks, exercise equipment, refrigerators, carpets, hot tubs, sheds, and much, much more for thousands of satisfied customers. We are committed to offering exceptional service at a fair and competitive price. When you hire R&G Hauling you can expect us to arrive on time with the right number of people to remove old furniture or appliances of nearly any size and quantity in a time-efficient manner. We can remove indoor/outdoor furniture and appliances from anywhere on your property, including the attic or basement. When working inside homes and businesses, we always take necessary precautions to avoid damaging your property. For example, when sliding furniture down stairs we put painter's cloth under it to protect the flooring and move carefully to avoid scratching the walls or other furniture and decor. We also use a dolly to remove heavy appliances like refrigerators, stoves, and tall furniture like chests and display cases. We'll even wear booties if you have a nice carpet or newly cleaned floor. 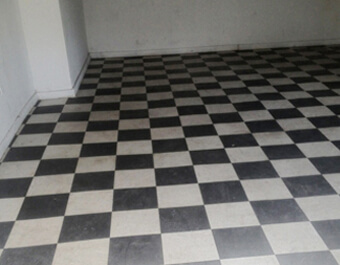 Once we've removed the furniture or appliance from your property, we load it into our hauling truck and sweep up any residual dirt or debris. 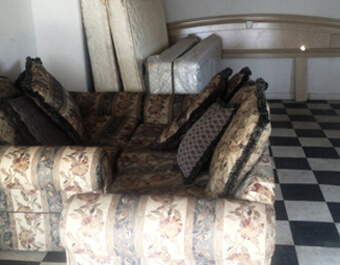 Our goal is to provide a reliable service for furniture and junk removal that makes our customers feel at ease throughout the entire junk removal and cleanup process. R&G Hauling is a fully insured, family-owned and -operated business. We are available for appliance and furniture removal services seven days a week from 7:00am to 7:00pm, and we always work around our customers' schedules. We provide free over-the-phone estimates with a brief consultation about your hauling needs, or can visit your property and provide a free on-site estimate. Call us today at (626) 497-8271 to discuss your appliance and/or furniture removal and hauling needs in Pasadena, Arcadia, Monrovia, Glendora, Altadena, Azusa, San Dimas, West Covina, or other nearby city. R&G Hauling was amazing! Rob is such a nice man, very courteous and pleasant to work with. Impeccable cleanup, will most certainly refer them to friends! And his wife Ginger was so sweet and funny on the phone!